The remainder of the afternoon and evening will be free for you to relax and enjoy the hotel’s facilities. 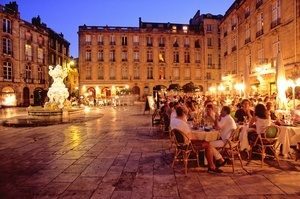 Alternatively you may prefer to wander across Bordeaux, exploring the excellent range of shops, bars, cafes and restaurants which it has to offer! In your travel pack will be a comprehensive list of recommended restaurants, and we would be pleased to reserve a table at any of these for you if required. Alternatively, to start your trip off in style, we are happy to offer meal options for a supplement (see below). In the morning, you will have tickets provided for entrance to La Cité du Vin: ‘the wine theme park’; the tour here includes 20 different themed areas to take you on a sensory journey to discover all about wine with an electronic guide and access to the ‘Belvedere’ with panoramic views of Bordeaux where you can taste Bordeaux wines if desired (payable locally). After some free time for lunch in the city centre, you will be met by an English speaking driver/guide, who will accompany you throughout an afternoon discovery of Saint-Emilion; your tour will be as part of a small group of up to eight people. Merlot is the predominant grape variety in Saint-Emilion and you will firstly enjoy a tour as at the guests of a family-run Château to gain an understanding of the work, chemistry and technical complexity involved in the wine-making process. At the end of the tour, you will learn the steps of a proper tasting and will educate your nose in order to identify the wines’ aromas – learning to taste like a pro! At the end of the visit, you will enjoy two tastings of the estate’s wines. You will then be taken to a Cru Classé Château, for a full tour of the estate and cellars, followed by an aperitif in a tasting room accompanied by local meats and cheeses. 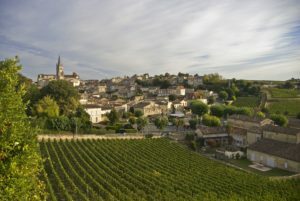 The day will conclude with a guided tour of the beautiful village of Saint-Emilion, which is a UNESCO World Heritage Site, and you will undoubtedly be charmed by the pretty cobbled streets and historical features. You will be dropped back in Bordeaux at the end of the day, in time to relax and enjoy the evening. After a leisurely breakfast, check out of the hotel and, at your own pace, commence your return journey. 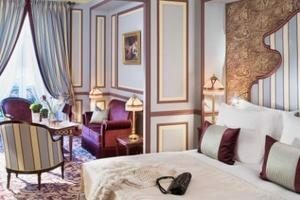 The total price of this special offer, based on 2 people sharing a double or twin room at 5* Intercontinental Bordeaux is £499 (GBP) per person and includes 2 nights’ bed and breakfast accommodation in a Deluxe room or higher, entrance to the Cité du Vin, a half day guided and transported tour, tours and tastings at 2 Châteaux with a tasting class and aperitif, and a guided tour of Saint-Emilion. Valid for travel mid-week and weekends throughout August 2017.